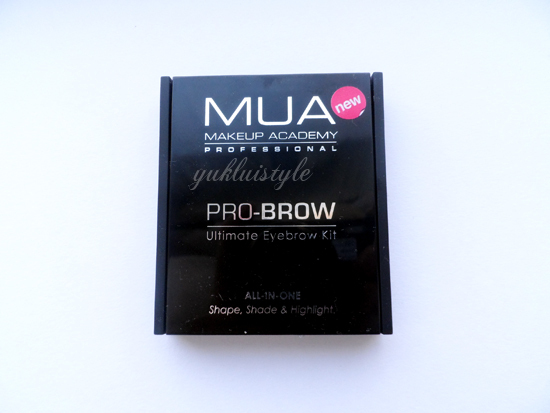 This is the first eyebrow product I have purchased other than my Rimmel eyebrow pencil which I always use. For the price, I can’t go wrong and don’t really have high expectations. 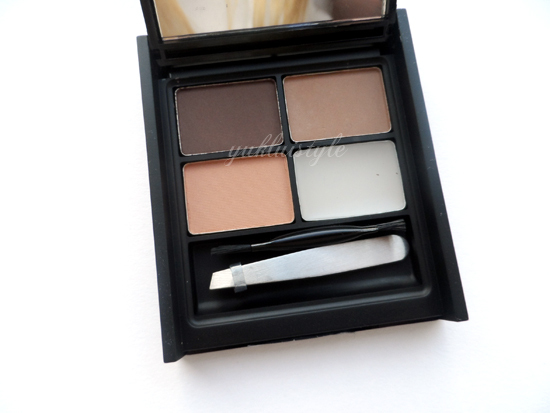 This kit contains 2 eyebrow shades, a matte highlight, wax, double ended mini angled brush and mini tweezers. 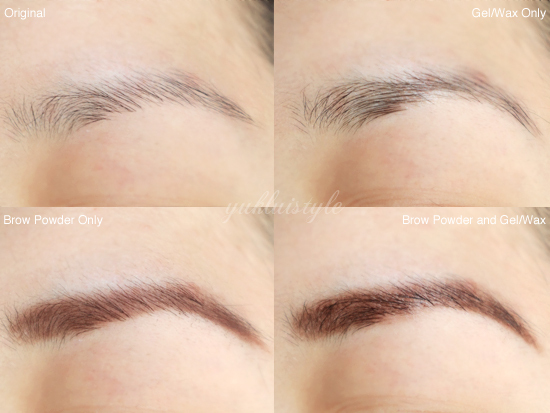 There is only one shade in this eyebrow kit which is meant to suit everyone but it is a disadvantage for those who are in between the two browns or darker. The dark brown shade has a red undertone which won’t suit everyone. It doesn’t suit me and is darker than my personal preference. You can always mix the two for an in between colour however you can never really get the exact same shade. 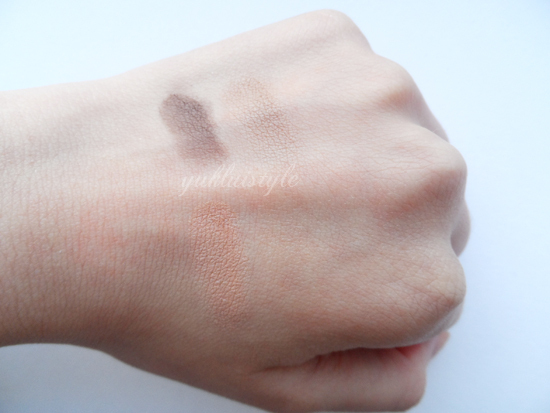 The powders are soft, pigmented but does have a lot of fall out. The highlight colour is a beige like shade with warm undertones. It didn’t suit me so it looks like I’ll be sticking with my usual highlighter. The wax leaves my eyebrows looking greasy rather than glossy. It isn’t thick and doesn’t keep the hairs in place. Without the wax, my eyebrows lasted around 3 hours before it started to fade and smudge. With wax, it lasted an hour longer. Even that part of my face does get greasy. Poor staying power as I don’t want to keep reapplying it during the day. The bristles on the mini brush are sturdy and perfect for shading in the eyebrows. The tweezers are average, can pluck out the strays but not good for precision. The packaging is quite thick and not good enough for me to pack in my makeup bag for travelling but is sturdy. I would say that this is an average product and it is what you get for that price. This is a popular product and is sold out in many places however I wouldn’t repurchase it again. I’m sticking to my Rimmel eyebrow pencil. I need to buy it, and nice blog. you have got yousefl a new blog follower. hope you follow back. I've tried some MUA products and I love them! Normally I use pencil to draw my brow line but seems like i ll try this one! Good review, think I'll be passing! I use the Rimmel pencil as well with a Kate brow powder from Sasa and they work really well together. Any brow palettes I've seen in Superdrug always seem to have 1-2 unusable shades, pointless! You're right, it does look really red O_o, probably wouldn't suit me either. I have tried a few MUA products–my favorites are their 1£ bronzers and their eyeshadow palettes!